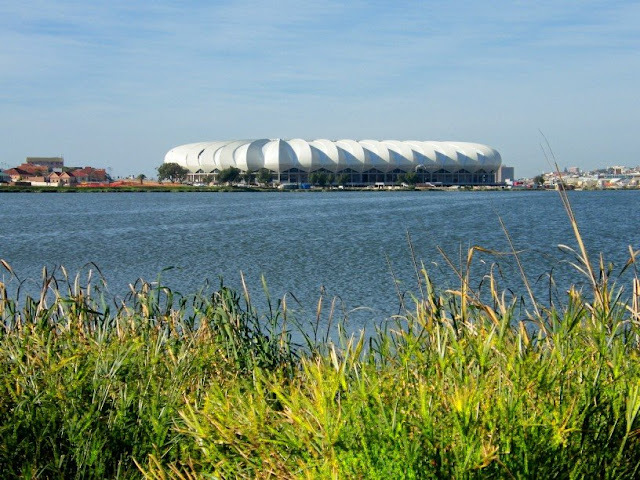 About a week or two ago I did a post of the new Nelson Mandela Bay Stadium as viewed across the North End Lake. This week I drove up to the gate for a closer look. Obviously I had my camera in hand. To read more about the event, visit MyPE for the whole story. For more picture, visit The Firefly Photo Files. 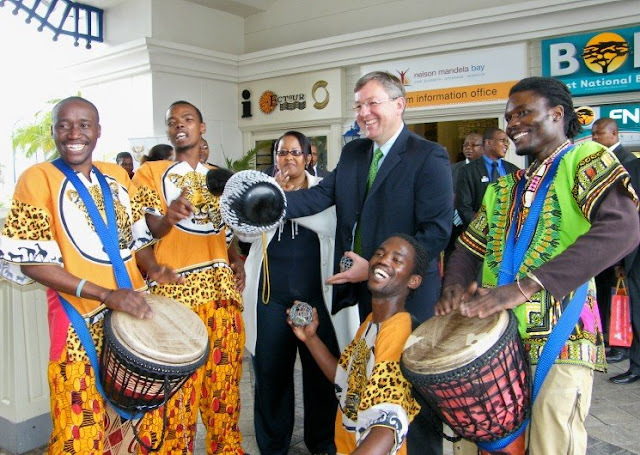 In the picture is the Minister, Marthinus van Schalkwyk, the Deputy Minister, Thokozile Xasa, and the drummers from African Drumbeat. 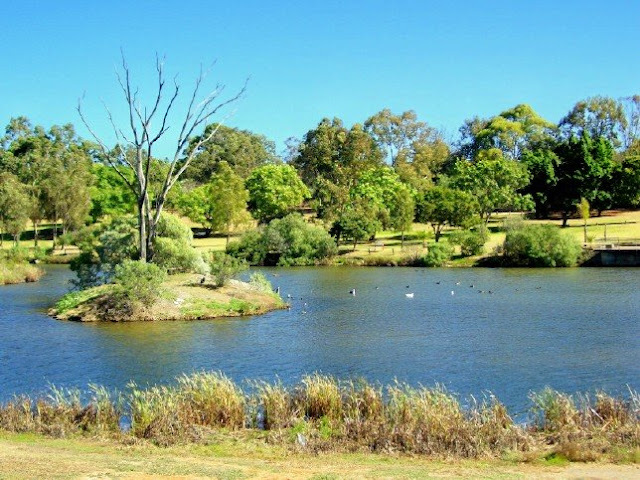 Willow Dam in Uitenhage is quite a popular spot for locals to go and chill out at. On weekend lots of people can be found having picnics around the dam. It is also a very good spot for bird watching. It is situated only 2km from the town centre, so it means that it is very accessible for everybody. The Old Railway Station Museum in Uitenhage is housed in one of the oldest railways stations of South Africa. 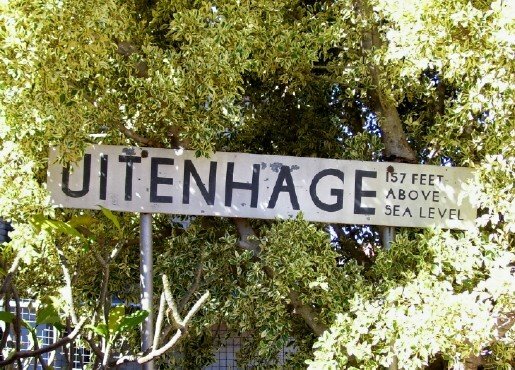 Built in 1875 on Market Street in the year of the opening of the railway from Port Elizabeth, it operated as Uitenhage's station until 1951. For more information on the museum, the history of the station, the old trains and other memorabilia on display, visit the old Steam Locomotives in South Africa blog. 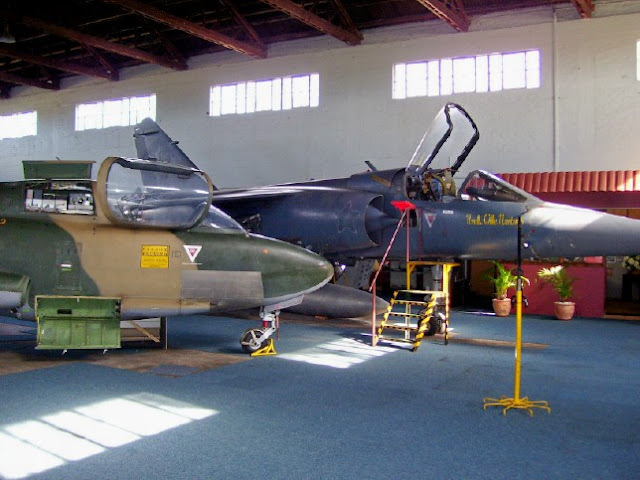 The South African Airforce Museum behind the Port Elizabeth Airport has a fascinating collection of airplanes and other airforce memorabilia on display. It is probably one of the lesser know museums in town and thus not as well supported as some of the others. As you walk from Hobie Beach to Pollock Beach you walk through this section of beach which is adjacent to "Lovers Lane". At low tide there as lots of rocks and sand banks sticking out to explore and when the tide is very high you sometimes have to hurry along or you may get your feet wet if a wave pushes up onto the sand. 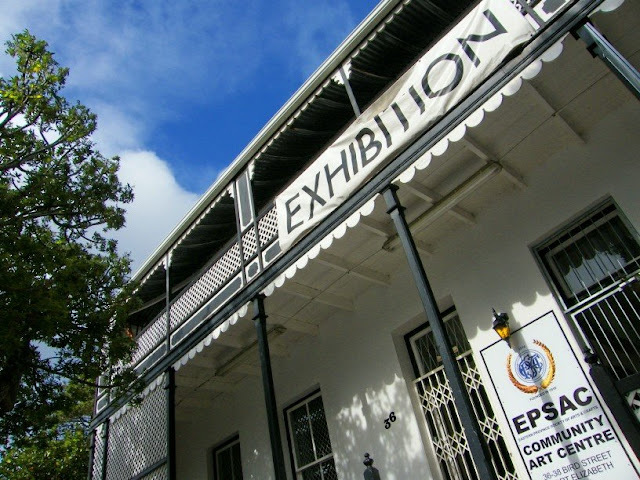 I popped into the EPSAC Art Gallery in Bird Street today to have a peak to see what the current exhibition looks like. The gallery is run by the Eastern Province Society of Fine Art and the Society's chairlady at the moment is Sue Hoppe. Sue? Some of you may say. Yes, I say. The one and only Sue who started this same Port Elizabeth Daily Photo with husband Max (hence they were known as SAM). Their 90th Annual Exhibition starts on the 6th of August and I want to head back there when its on to perhaps get a couple of pics to give it some exposure here and through some of the other online forums and social networks I am involve with. 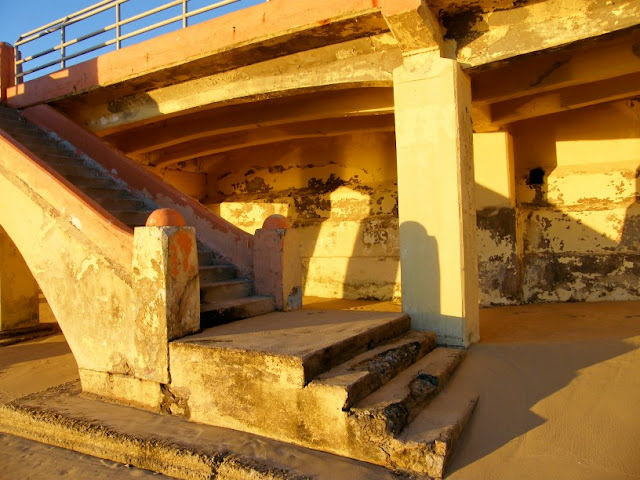 Ok, so not the best advert for PE's beachfront, but I liked the look of the picture in the early morning sun. This is the bottom seaward side of the beachfront promenade between McArthur's Swimming Pool and Humewood Beach. The section of the promenade wall is in desperate need of a coat of paint. Perhaps the "powers that be" will give it a coat before the summer holiday season arrives. The Red Location Museum has a number of excellent exhibits depicting the struggle during the apartheid years in and around Port Elizabeth. One of the main features of the museum is the Hall of Columns. 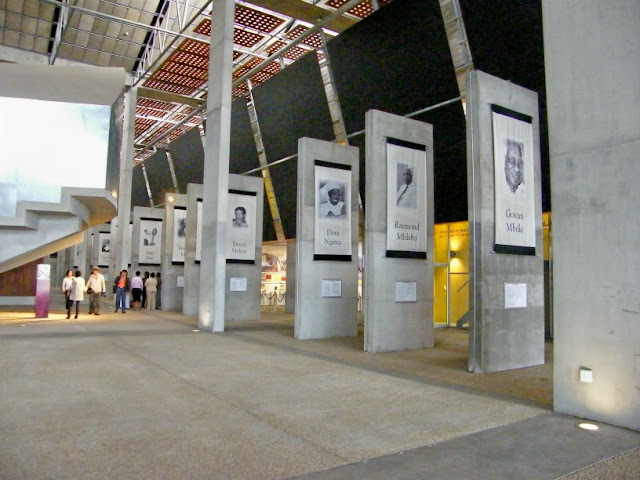 It consists of 15 columns dedicated to local heroes of the struggle. Heroic icons are selected annually through a nomination process by the community. Some of the well known names represented on the columns include Govan Mbeki and Raymond Mhlaba. 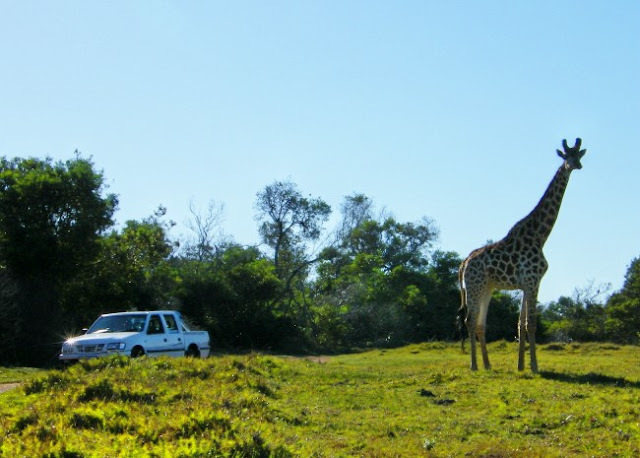 Kragga Kamma Game Park is situated just outside the city limits of Port Elizabeth and is a awesome place to go for a morning or afternoon to view game up close. Visitors to the park can drive through in their own cars or book an open vehicle drive along with a ranger. The park boasts an array of animals ranging from rhino, buffalo and cheetah to giraffe, zebra and a host of antelope species. It is a fantastic spot for photographers as you get quite close to the animals. We took the kids out there on Sunday morning and they loved checking off the animals we saw on the list provided at the gate. 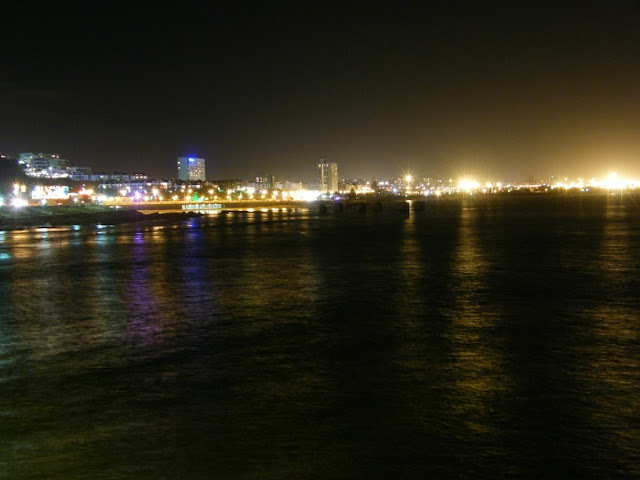 The lights along the Port Elizabeth beachfront as seen from Shark Rock Pier looking towards Humewood (left), Kings Beach (middle) and the harbour (the bright lights on the right). Today is Nelson Mandela's 91st birthday. We are very fortunate here in Port Elizabeth that we live in a metropolitan area carrying his name. Port Elizabeth along with the towns of Uitenhage, Despatch and Colchester forms part of Nelson Mandela Bay. Nelson Rolihlahla Mandela was born on 18 July 1918 in the village of Qunu near Mthata (Umtata) in the Eastern Cape. He is also known worldwide as Madiba, an honorary title adopted by elders of Mandela's clan. 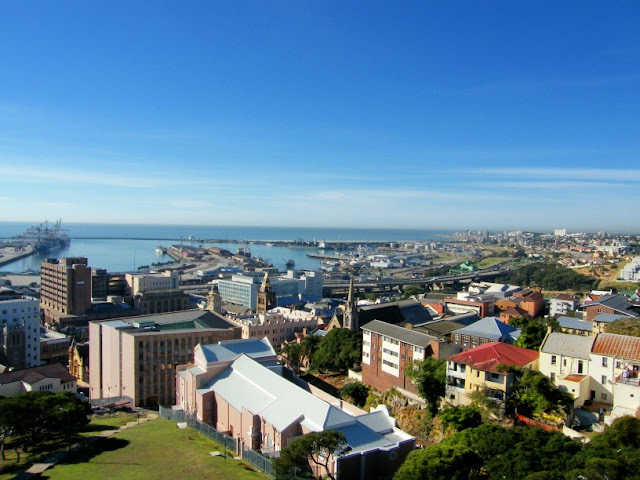 The picture was taken from the top of the Donkin Lighthouse and shows the Port Elizabeth city centre, harbour and beachfront in the distance. 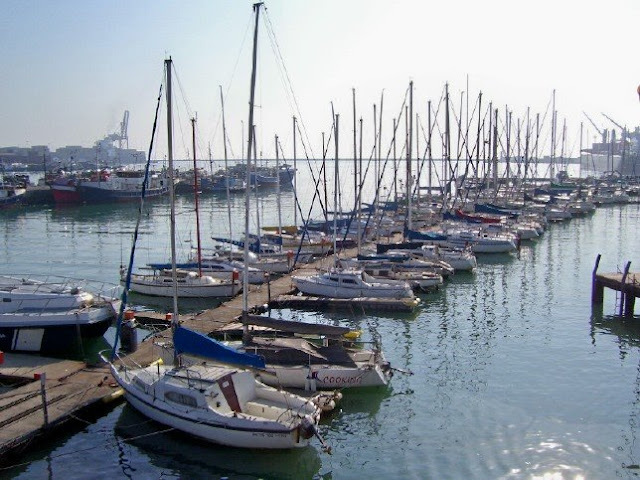 The Algoa Bay Yacht Club is based within the Port Elizabeth Harbour and is one of the premier yacht clubs in the country. The club has an outstanding restaurant in the Chartroom Restaurant which can be booked for functions. I haven't eaten there in a while, but I know the restaurant serves excellent food. Anybody keen on going sailing should contact the yacht club and I'm sure somebody would gladly invite you for a sail into Algoa Bay. Happy Valley is quite a popular spot with families with small children on a calm summers evening. The attraction of Happy Valley is the colourful lights and characters from fairy tales, rhymes and popular kids movies. 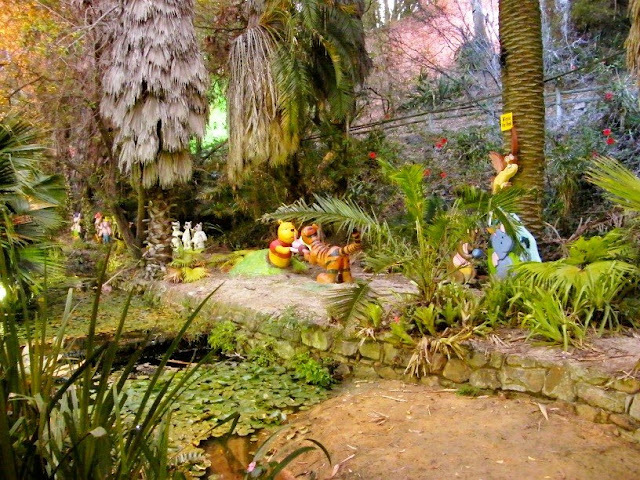 In this pic you can see all the characters from Winnie the Pooh as well as The Three Blind Mice and The Three Little Pigs. Another of the pics I took at Sardinia Bay on Sunday. The coastline from Sards towards Seaview has some magnificent dunes along the beach. 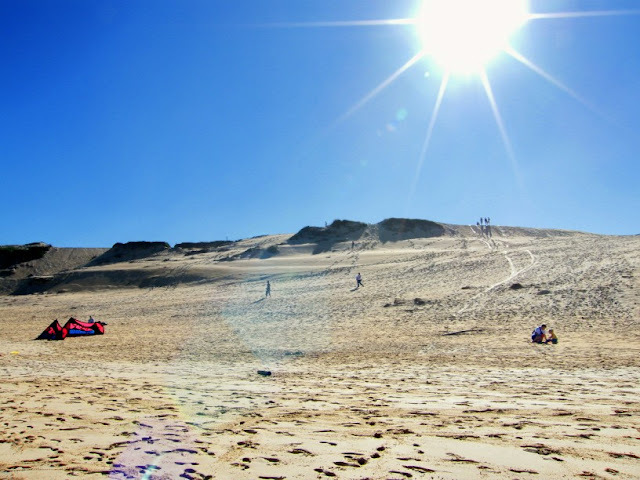 On Sunday there were a couple of boys sand boarding from the dunes close to the car park while families were playing in the sand and couples were either walking along the shore or sitting on top of the dunes enjoying the view. A perfect winters day. The beach at Sardinia Bay may not always be the safest swimming beach around, but it is one of the most popular spots for the people who live on the western side of Port Elizabeth for a nice leisurly stroll. 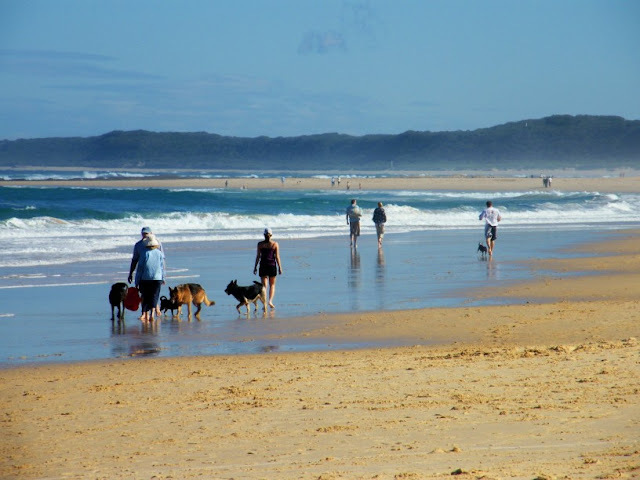 Its also one of only a few beaches where dogs are still allowed on and most weekends you will find a number of people taking their "best friends" for a walk along the shore. The weather was awesome this last Sunday and we decided to take the kids down to "Sards" to go and play on the dunes a bit. A huge amount of people were making use of the opportunity to get out and enjoy the weather. The Nelson Mandela Bay Stadium next to the North End Lake is the 44,000 seat multi purpose stadium (48,000 during the World Cup) purpose built for the 2010 FIFA World Cup. The five-tier, 1.1 billion Rand (approximately $150m) Nelson Mandela Bay Stadium is one of three coastal stadiums built in anticipation of the 2010 FIFA World Cup. This is the first world-class soccer stadium to be built in the Eastern Cape. It was supposed to have hosted matches for the 2009 Confederations Cup but was removed from the list as it was believed it would not be ready on time. Well here is some egg on FIFA and the LOC's faces. It has became the first newly-built 2010 Stadium to be completed. It has already played host to a British and Irish Lions tour match attended by 35 000 fans as well as the 2009 Premier's Cup soccer tournament. After the World Cup the stadium may be used as the home ground for the Southern Kings if they are admitted to the Super 15, as well as Bay United if they return to the Premier Soccer League. 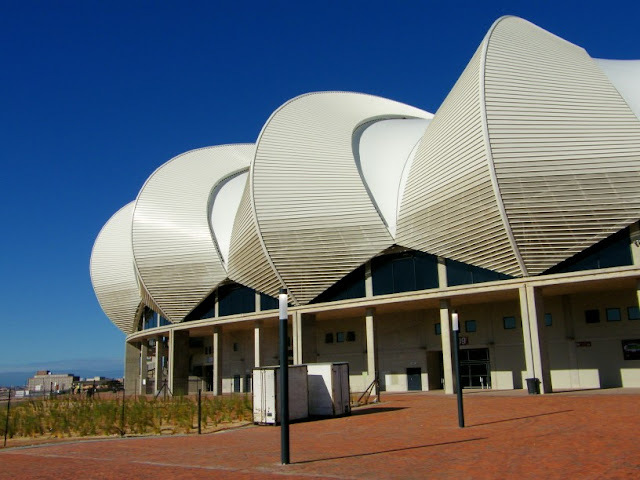 The stadium has truly become a new landmark on the Port Elizabeth skyline. "Ting ting ting ting..." You can hear the ice cream man's bell way down the block long before you can even see him yet. 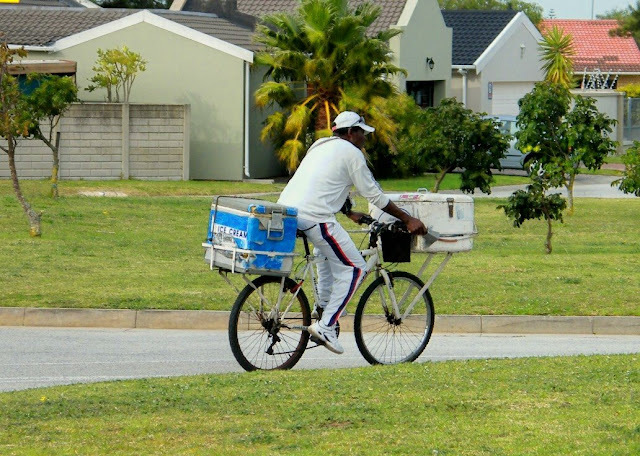 I remember when I was small my folks often bought ice cream from the ice cream man on a Sunday afternoon. But over the years the ice cream man has disappeared off our streets. Until now. Lately this guy has been doing the rounds through our neighbourhood on Sundays. Every now and then we buy ice creams from him and I imagine that he must do quite well around here cause he's back every Sunday. When last have you stopped the ice cream man? I have done two posts of the Horse Memorial before. The one was a close-up of soldier and horse and the second was one of the inscription. Today I just wanted to do a post showing the whole memorial and not just a part of it. 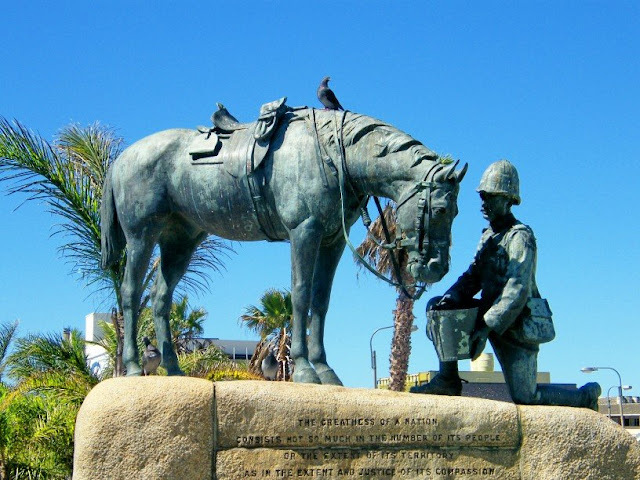 The Cenotaph in front of the Nelson Mandela Metropolitan Art Gallery was sculptured in 1929 by James Gardener to commemorate those from Port Elizabeth who died in the first World War between 1914 and 1918. It features St George buckling his sword after slaying the dragon, as well as the figure of a mother and her children. Later the names of those who fell in World War Two (1939 - 1945) were added. The Port Elizabeth Museum at Bayworld has a number of excellent exhibits covering a wide field of subjects and events. 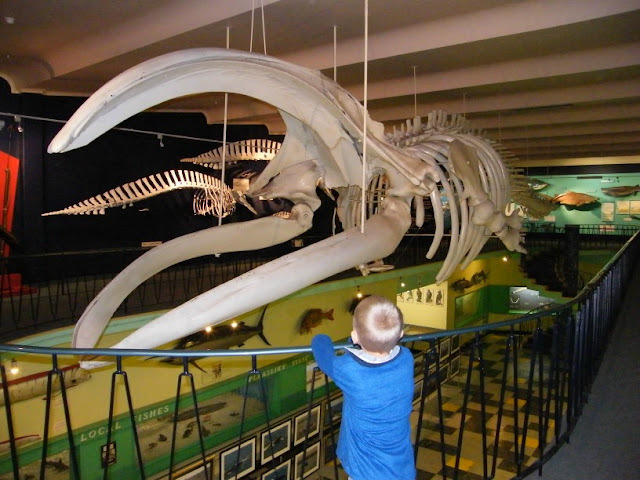 One of the main attractions can be found in the Marine Hall and is the 15m skeleton of the last Southern right whale harpooned in Algoa Bay. Now I know somebody is likely to ask when this happened and before they do I have to say I don't know. I have been searching the Internet and can't find a specific date. I will probably have to head down to Bayworld again to see if I can find out. It will teach me to just take a pic of any info I see for later reference. I know its winter and a bit cold outside and this is a summer picture, but I feel like going to the beach for some reason. 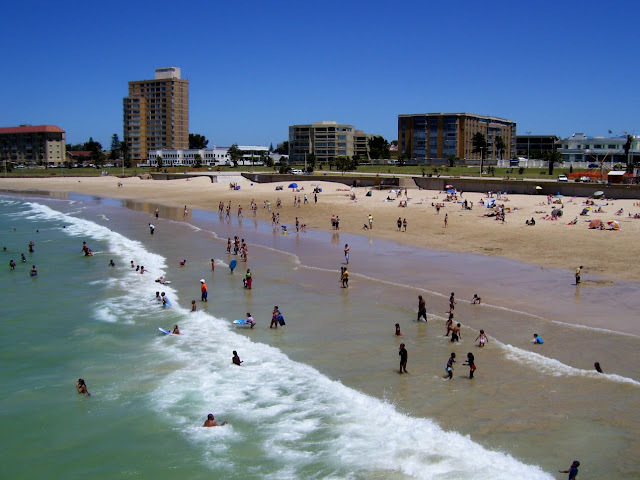 Hobie Beach is one of Port Elizabeth's main beaches. It can be found across the road from the Boardwalk Casino complex and is where Shark Rock Pier is situated. 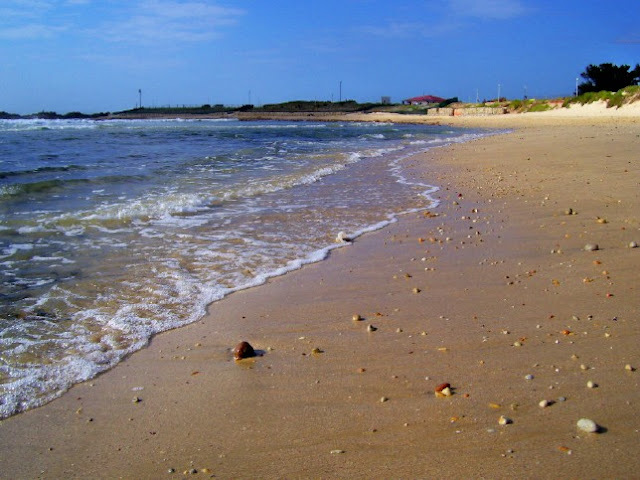 The beach is one of Port Elizabeth's 4 Blue Flag Beaches and is a favorite with both young and old. Today we are back home after our "trip" covering all the towns surrounding Port Elizabeth. So just to start off on the home front again, I am featuring one of Port Elizabeth's iconic landmarks. The Donkin Reserve. 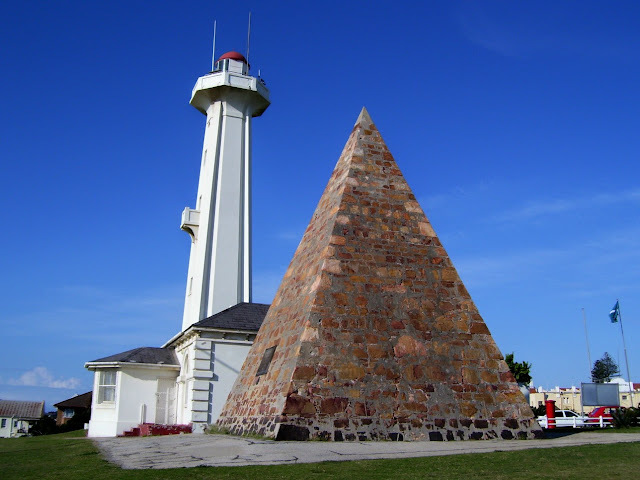 On the Donkin Reserve visitors will find the Donkin Lighthouse as well as the Donkin Memorial Pyramid. The story of the pyramid goes as follow: Sir Rufane Donkin married Elizabeth Frances Markham in 1815 and barely 2 months later was posted to India. Lady Elizabeth gave birth to their son in 1817, but weakened by the birth she developed a fever in the subsequent summer months and died 8 months after the birth. Devastated by grief, Sir Rufane deiced to return to England, but on the way home was asked to came to the Cape Colony in 1819 as the acting Governor. One of the duties he performed while at the Cape was to come to Algoa Bay to welcome the British Settlers in 1820. He found a little town with no identity and named the town after his wife. Not long afterwards he proclaimed the Donkin Reserve as an open space and had local builders built a monument to his wife. This monument was built in the form of a pyramid and named the Donkin Memorial. One of the plaques on the pyramid still bears witness to the sorrow of a husband who's heart was still wrung by undiminished grief. It says: "In the memory of one the most perfect of human beings who has given her name to the town below." Although Sir Rufane married again, he took his own life on the 26th anniversary of his first marriage. The Donkin Lighthouse was built in 1861. At this time Port Elizabeth was starting to develop as a residential town and more and more ships were coming into the Bay. In 1932 it's height was increased as the lights of the town behind was starting to interfere with the light. In the early 1970's the lighthouse was decommissioned and replaced with the North End Light. The key for the door can be obtained from the tourism information office in the lighthouse building. The climb up to the top is quite steep and a bit difficult with the steps being more of a ladder than stairs, but the view from the top is truly worth the climb. Also, what goes up, must come down. Today out tour of all the towns surrounding Port Elizabeth (and a little further away) ends in Oudtshoorn. From George and Mossel Bay the road takes you over the Outeniqua Mountains into the Klein Karoo (Small place of Thirst). It is a area flanked by the Outeniqua Mountains in the south and the Swartberg Mountains in the north. The climate here is much different from that along the coast. Its is dry and hot. Ideal ostrich country. The main attractions in the town are the Cango Caves, the Cango Wildlife Ranch, Ostrich Show Farms and many craft shops. 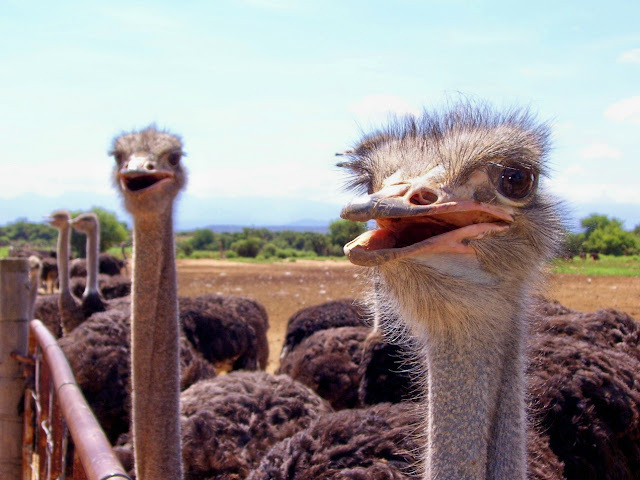 Most visitors end up visiting an ostrich farm where all tours end with visitors been given the opportunity to sit or ride on an ostrich. We will be spending a week in Oudtshoorn during the December holidays so I hope to post a lot of pictures of the area on The Firefly Photo Files early next year. Tomorrow we will return to Port Elizabeth to further explore the beautiful city and area I live in. I hope you enjoyed the tour. See you tomorrow. Mossel Bay is the last of the Garden Route towns we visit. From here heading west towards Cape Town the road goes via the Overberg which is mainly farming area. I don't really have any photos of this area to show. 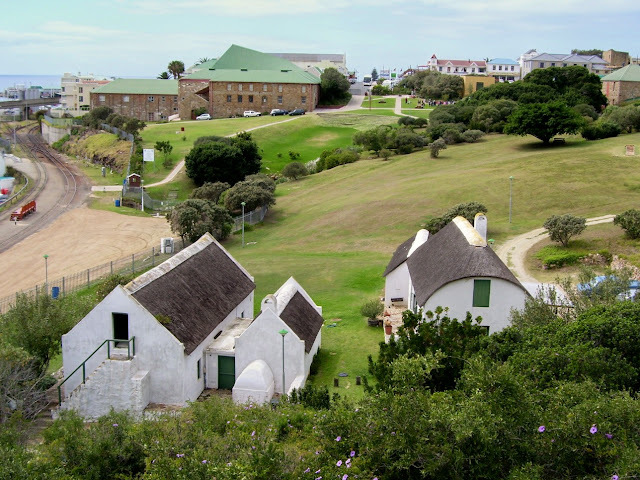 Mossel Bay was the spot where the first European explorer set foot in South Africa. Bartholomew Diaz landed here in 1488 and in 1988 for the 500 year anniversary a replica of his caravel was built and sailed from Portugal. It now forms part of the Diaz Museum Complex (area in picture) where it can be found in the big building in the left back. Mossel Bay is a very popular holiday and beach destination with countless activities to be done in the area. It is the closest place to Port Elizabeth where visitors can do Shark Cage Diving at the moment. It is also South Africa's reigning Favorite Town. 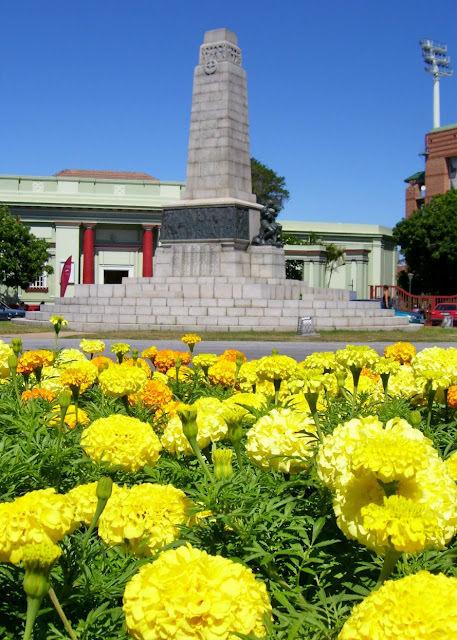 The town of George at the foot of the Outeniqua Mountains was founded in 1811 and was the first town to be established in South Africa by the British. It was named after King George III. 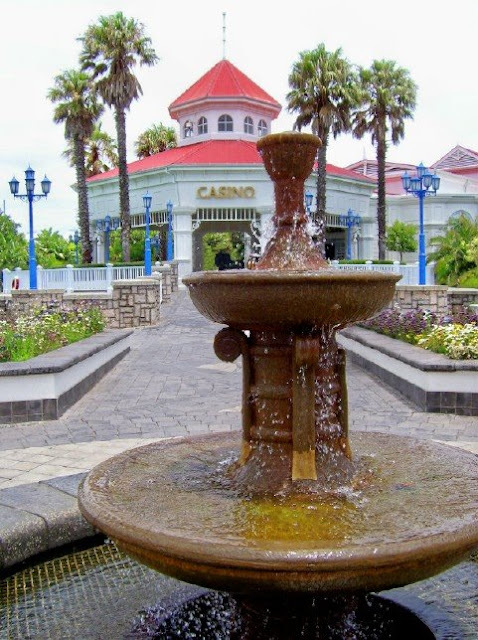 The town is the main commercial town on the Garden Route and is often just used by tourists as a stop over. It is also where visitors will find the Outeniqua Railway Museum where the Outeniqua Choo Tjoe steam train is based. Unfortunately the future of the steam train hangs in the balance at the moment but the provincial government seems keen to try and rescue it. Lets hope they do. 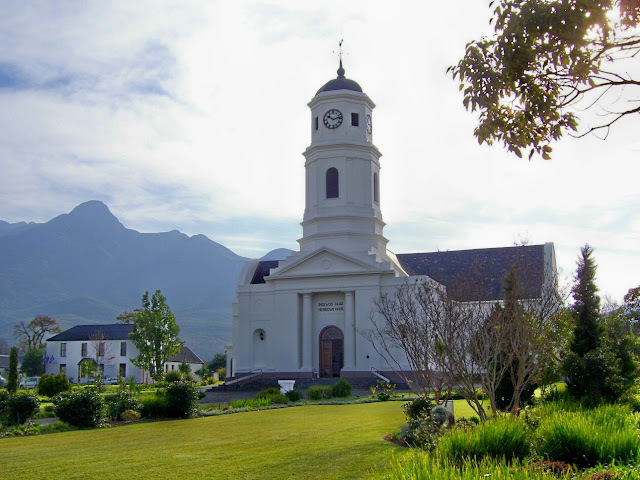 The building in the pic is the old Dutch Reformed Church in town. 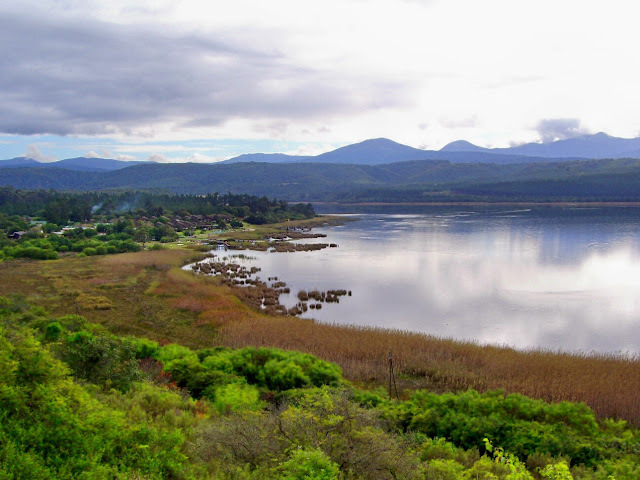 The little town of Sedfield is situated about 20 minutes from Knysna and can be found right in the heart of the Garden Route's lake district. Some of the lakes are interlinking while others are on their own. Most of them were formed when the ocean pushed into hollow areas behind the ancient sand dunes while the only fresh water lake, Groenvlei, filled up through fountains in the area. The lake in the pic is Swartvlei and has a great holiday resort on its banks which is very popular with time share holiday makers. 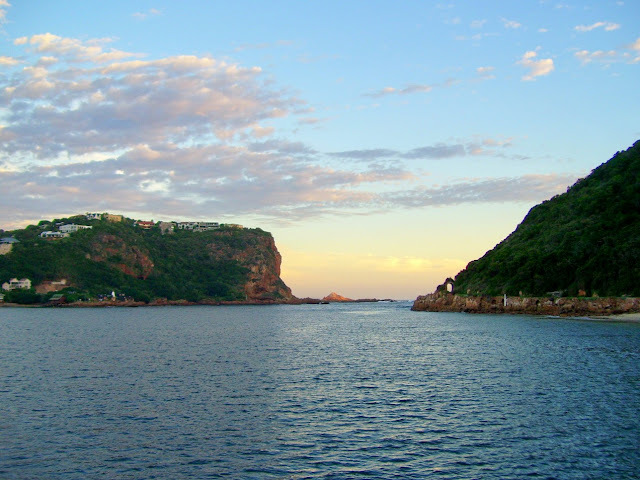 Knysna has been chosen as South Africa's favorite town twice in a row and only last year lost their title to Mossel Bay. It is surrounded by indigenous forests, mountains and the Knysna Lagoon. 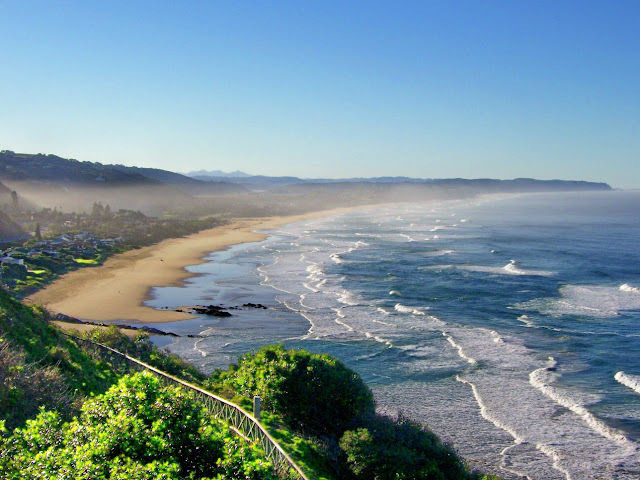 The town's most prominent landmark is the Knysna Heads situated at the entrance into the lagoon from the sea. Knysna has so much to do and see. The area is a haven for artists and many of their wares can be found in the town's abundance of curio shops and art studios. 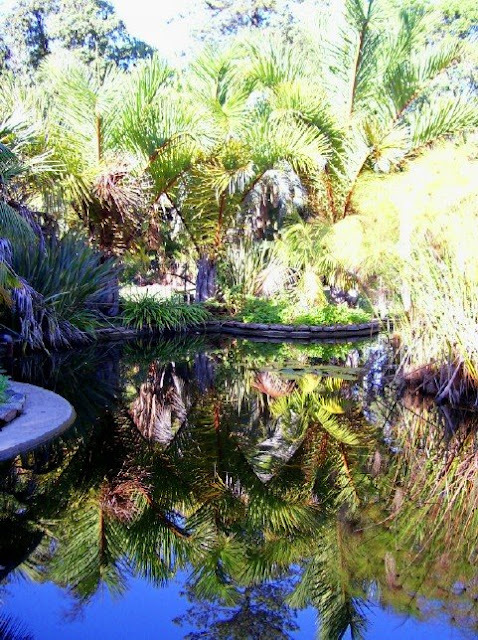 Visitors can do anything from cruises on the lagoon to slow walks in the forests. The Knysna Lagoon is one of the best growing areas for oysters in South Africa and many of the local restaurants serve it. Its an aphrodisiac, you know?